This week has completely gotten away from me. Yesterday I inteded to have a post about my kiddos and their Halloween costumes. Which would require me to get them in their costumes, get their hair and makeup done, and take photos. Well...it didn't happen, obviously. I will get a post up about their Halloween costumes but it won't be in time for Halloween week. I apologize. Both of these cards are SO simple. 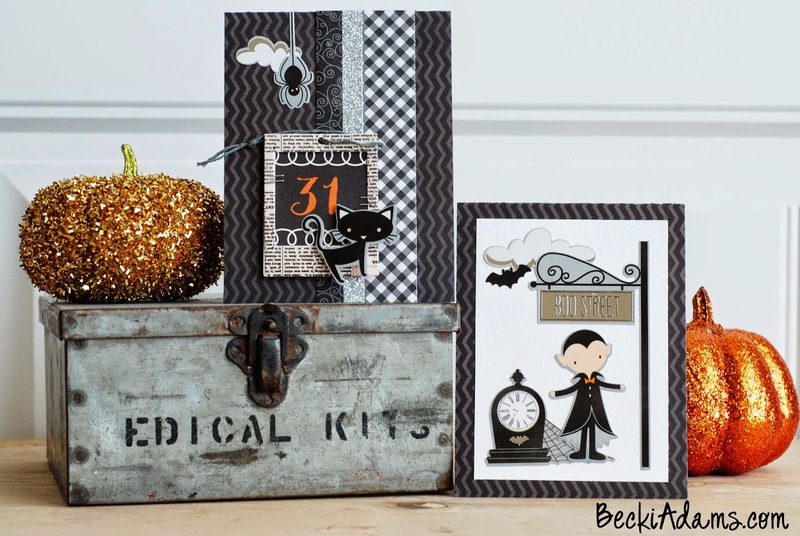 I simply used stickers from the sticker sheet to create a Halloween vignette. 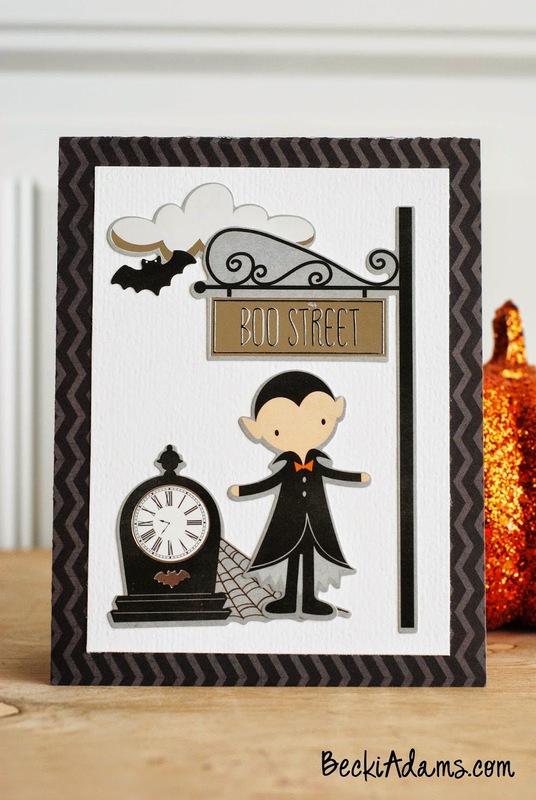 Isn't that little Dracula adorable? I couldn't finish this card without adding a little bit of glitter tape. Glitter tape is wonderful! I love that I can use it without getting glitter EVERYWHERE. My hubby also appreciates the fact that our entire house isn't covered in glitter! 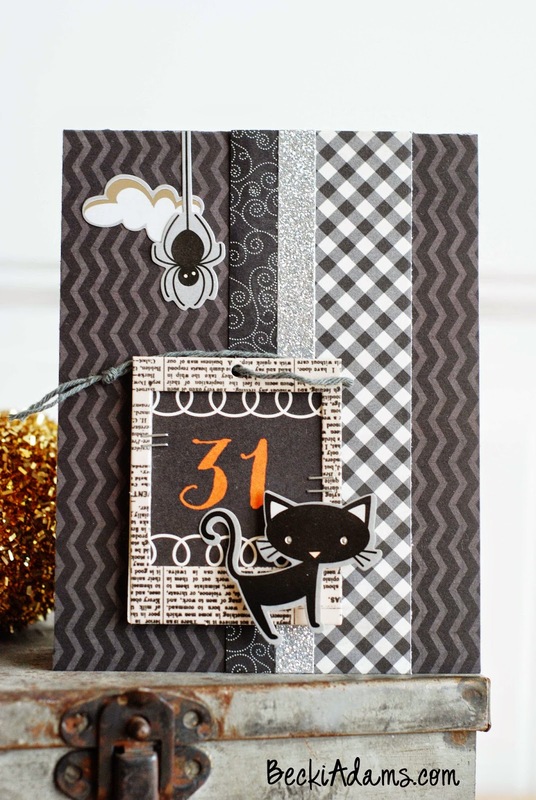 Do you create cards for Halloween? I don't create many but I do like to have a few on hand, I use some of them for October birthdays. Love these! I haven't see this paper line yet, they are too adorable. Thanks for sharing your ideas. Isn't this line adorable! It's an older line but it's one that's still available. I've had so much fun working with it. 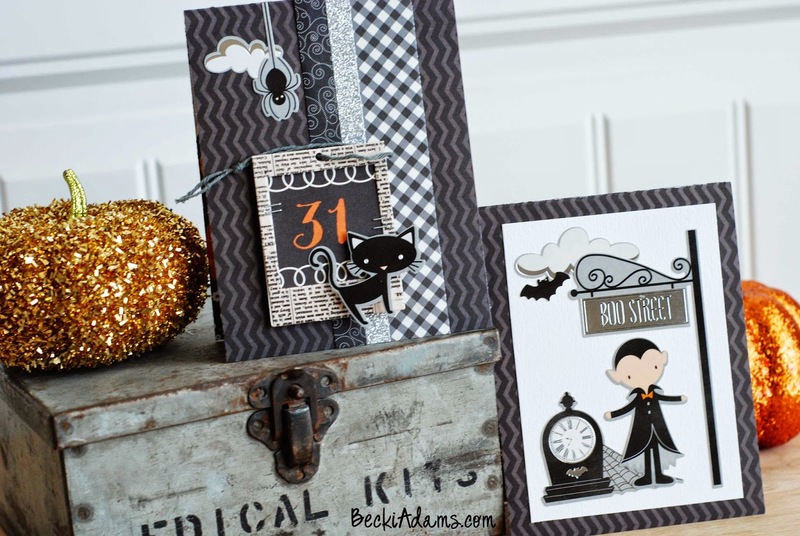 Love these two cards - Love the dracula card on boo street the absolute most!! So cute, clever, and just so well done!! Love this collection!! Awe, you're so sweet Taunya! Thank you!